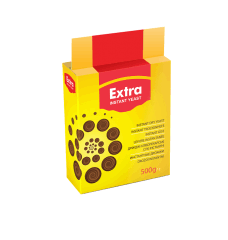 Thanks to hard and diligent work and innovative ideas, Enzym Company has found its niche on the European professional baking market as one of the best manufacturers of yeast products. About 2.5 million tons of bread are produced annually using Enzym yeast. 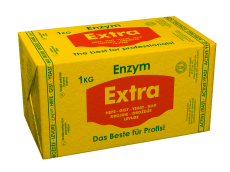 The most important indicator of Enzym’s rapid development is the significant increase in the share of its export which today accounts for about 40% of the Company’s yeast production. The Company products are exported to the Netherlands, Belgium, Germany, Poland, the Czech Republic and Slovakia. Enzym Company also has 60% share of the domestic yeast market. The quality of Enzym Company's products has been confirmed in the European markets by different international certification systems. The quality of its yeast production has successfully passed the certification process for which Enzym Company has received ISO 22000, FSSC 22000, GMP +, Halal and Kosher certificates. Enzym Company believes it is important to be one step ahead, so in the course of many years, the quality of its yeast, the manufacturing technology and professional skills have made the company the in the Ukrainian yeast market and very competitive in global yeast markets. About 40% of the Company’s production is exported annually to the Netherlands, Belgium, Germany, the Czech Republic, Slovakia, Poland, Bulgaria, Moldova.